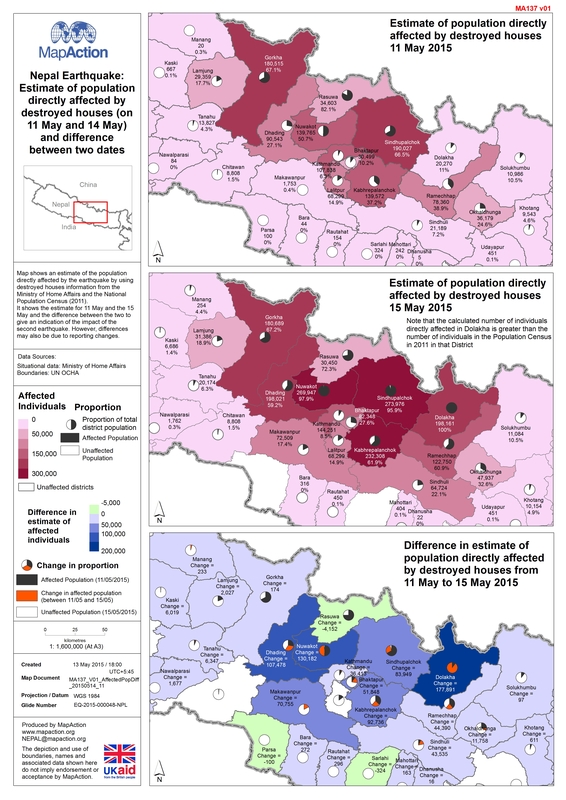 Maps shows the average monthly precipitation (mm). 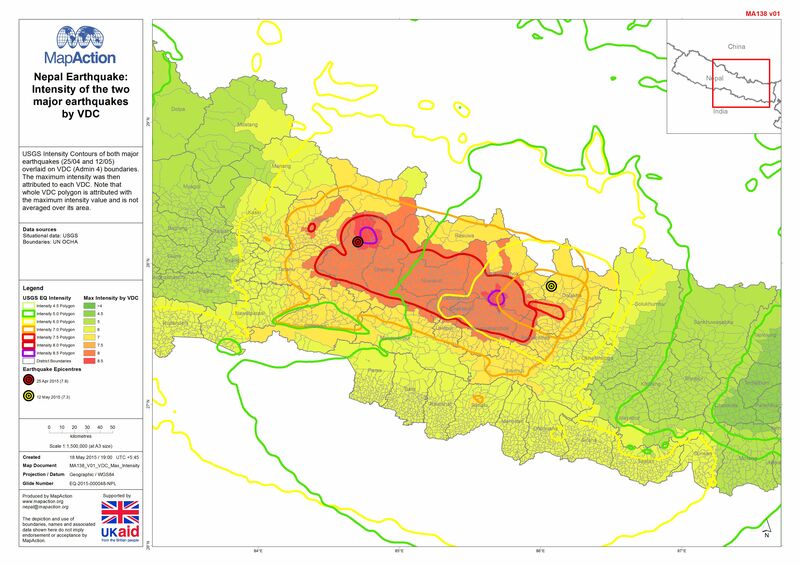 The data was generated through interpolation of average monthly climate data from weather stations on a1 km2 grid. 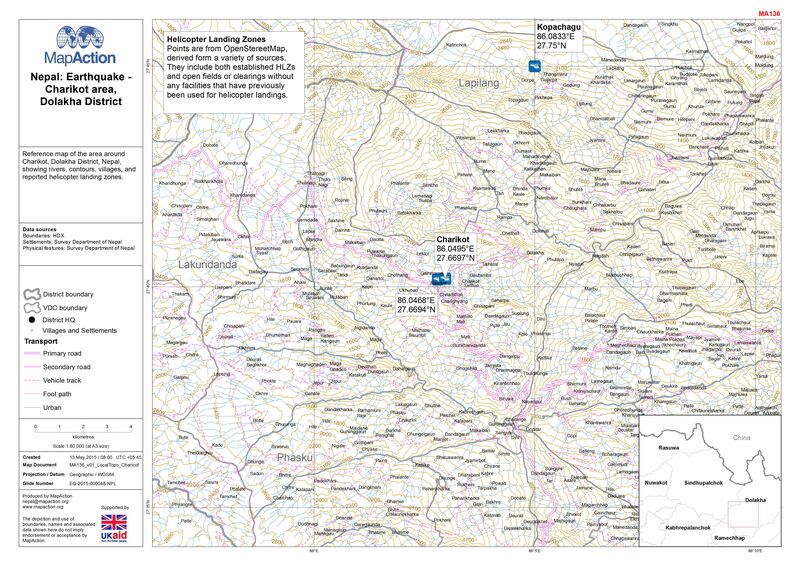 Reference map of the area around Charikot, Dolakha District, Nepal, showing rivers, contours, villages, and reported helicopter landing zones. 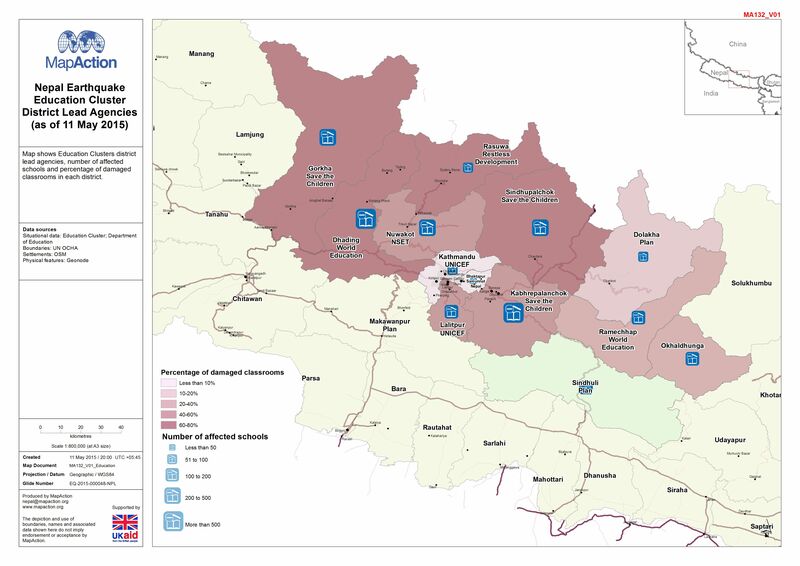 Map shows Education Clusters district lead agencies, number of affected schools and percentage of damaged classrooms in each district. 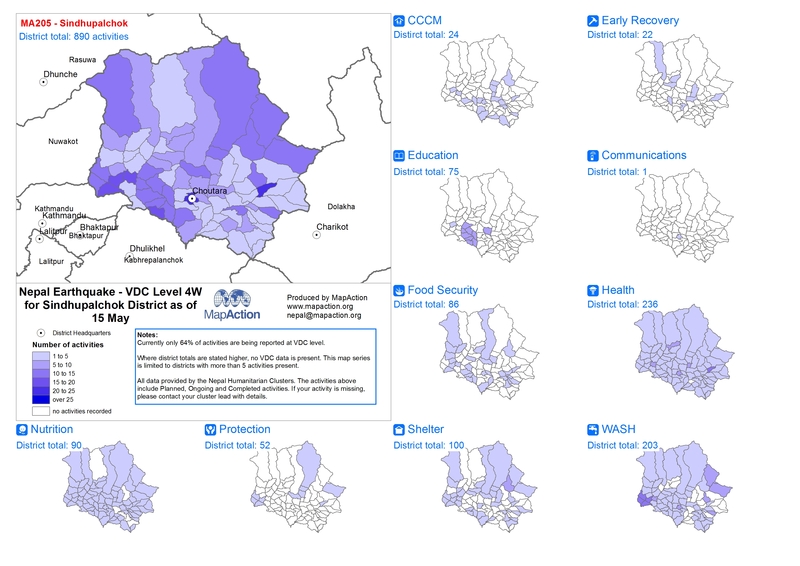 Map shows population living in VDCs reported to have no vehiclar access. 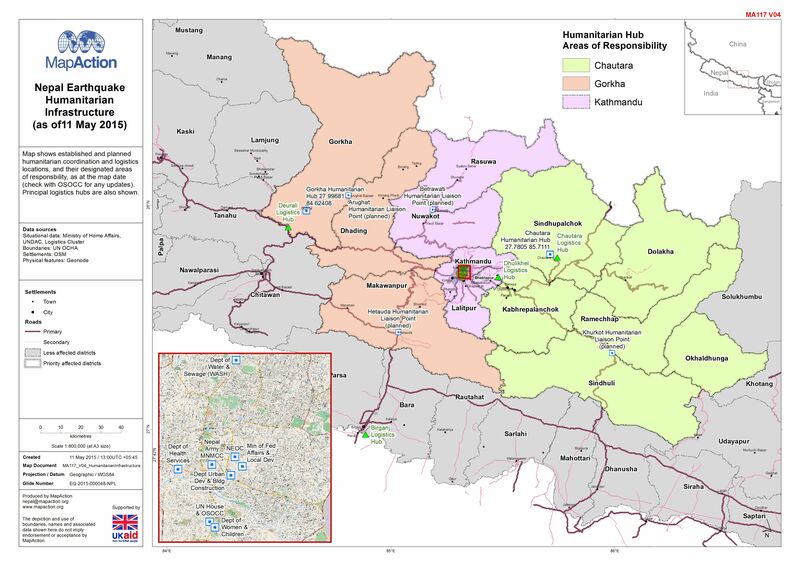 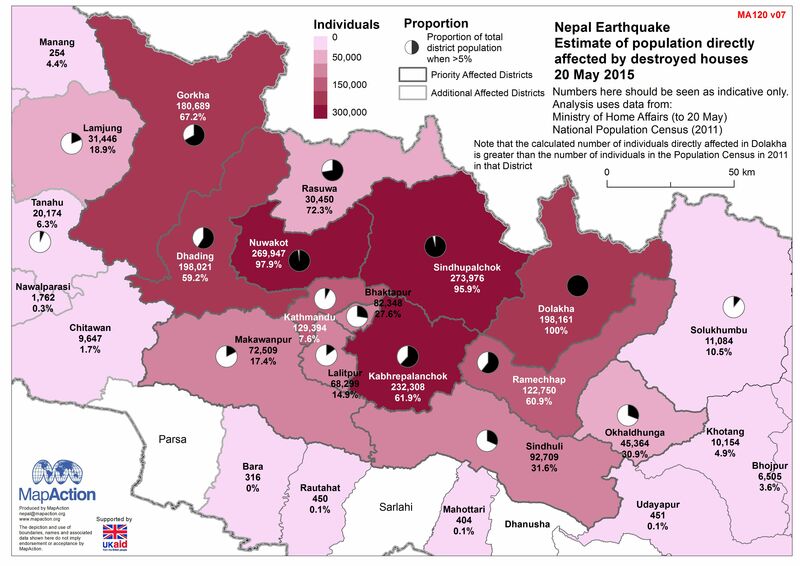 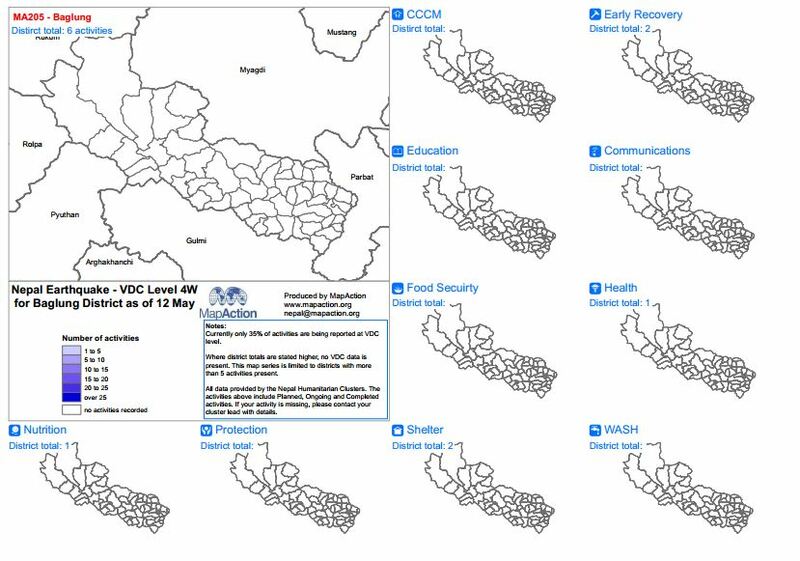 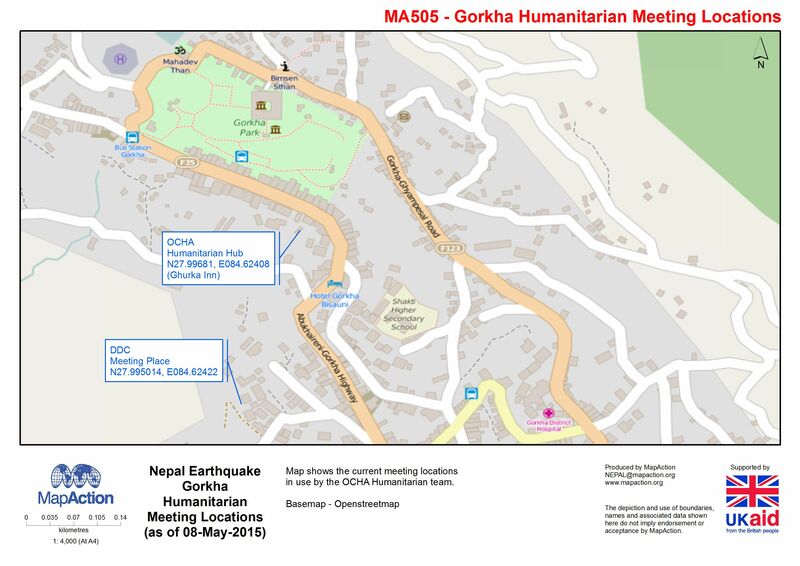 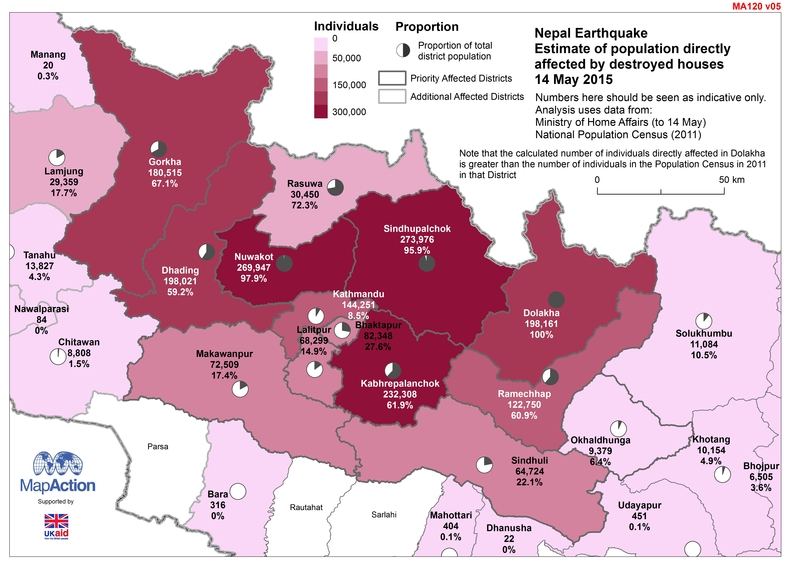 Access data reported by the Nepal food Security Monitoring Programme via WFP / Logistics Cluster.